A major new research programme will shortly be launched in the context of the Netherlands Organisation for Scientific Research (NWO) funding instrument 'Perspective for the Top Sectors'. Professor Ian Richardson will play a leading role in this project on metal-based additive manufacturing. 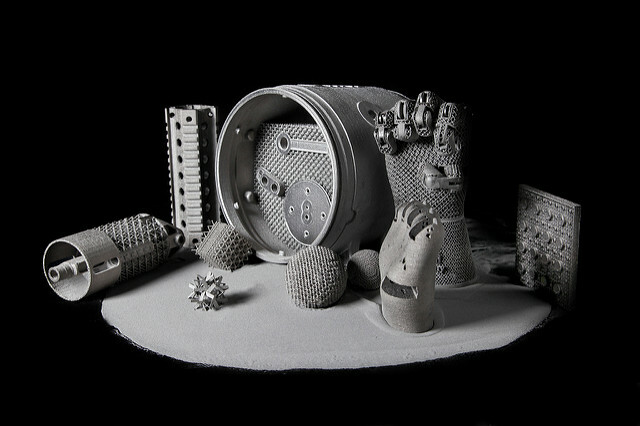 Metal-based additive manufacturing (AM), commonly known as '3D printing', is a method in which a metal object is designed with the computer and then built up layer by layer by a machine. This can be done in various ways, and the choice of a particular method influences the speed with which an object can be made, as well as its quality. AM is considered revolutionary, and is already widely used to make relatively small metal objects. The AM technology has the potential to have an enormous impact on a larger scale (objects from 1 to 10 metres), but so far little attention has been paid to this. The intended benefits of AM on a large scale include the ability to construct components where and when necessary, and the design of components combining radically different properties (e. g.: strength, wear resistance, corrosion resistance, mass, and electrical properties). One sector for which this programme is expected to be highly relevant is the maritime sector, where major components are needed for the construction and maintenance of ships, and for offshore activities. Each year, the NWO domain Applied Sciences and Technology (TTW) makes available a research budget that develops and finances new, challenging research programmes within the application-oriented and technical sciences. In this round, NWO will make 21 million euros available for programmes within the nine so-called 'Top Sectors' of The Netherlands. The programmes are also funded by companies, social organisations and the knowledge institutions involved. With a total budget of 32 million euros, 74 PhD students and 25 postgraduates will be able to start working in the next five to six years.